To make the spicy bean mix, first fry off a sliced onion in pan until tender. Add in the kidney beans and black beans as well as the chopped tomatoes and the spices or a sachet of Old El Paso taco seasoning. Simmer on a low heat for 20-30 minutes. 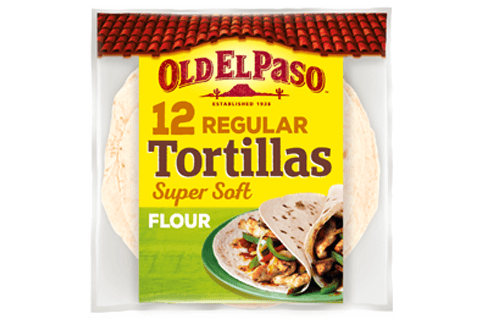 Warm the tortilla wraps in the oven for a few seconds and start making your delicious wraps. 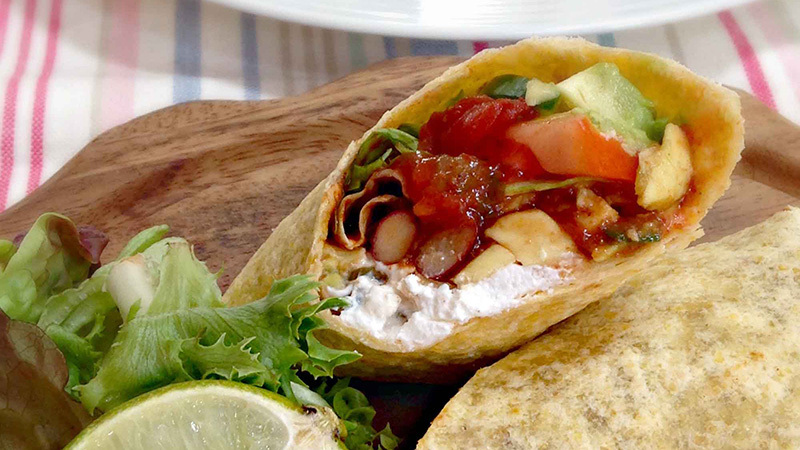 Pile up the beans with some of your favourite add-ins to create a wonderful wrap full of the taste of Mexico.